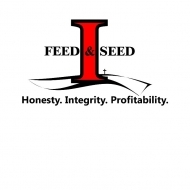 Ingram Feed & Seed is an independently owned feed, seed, and farm supply store located near Franklin, NE. We offer a full line of feeds in bag, bulk, liquid, and tubs. We can feed anything from alpacas to zebras, including beef cattle, sheep, hogs, horses, and all your pets. We carry agricultural seed products from several suppliers. Crops include all summer annual forages, conservation grasses, alfalfa, oats, turnips, and hard red winter wheat. We have complete milling, mixing, and delivery services available for our feed products. We also offer custom conditioning of wheat for seed in the fall months. We also have a large farm supply showroom filled with items such as bird feeders and bird seeds; suet cakes; bird houses; rat and mouse control products such as poisons, traps, and glue boards; halters; show sticks; fans; buckets; water; sorting paddles; stock prods; fence splicing tools; high tensile fencing supplies; fence energizers; bale feeders; gates and panels; creep feeders; lawn mowers and snow blowers; outerwear; boots; gloves; gift items; livestock scales; pet treats; pet toys; collars and leads; windmills; lawn and outdoor power equipment; and pet foods and biscuits. Since 1992, we've carried only Purina brand feeds. Why mess with the rest when you have the best? Whatever you need for your farm, ranch, and home, the odds are good that you can find it at Ingram Feed & Seed. Give us a call, or email us. Better yet, stop in and say hello. You'll be glad that you did. Whether you're from Franklin, Alma, Republican City, Smith Center (KS), Naponee, Bloomington, Riverton, Franklin County, Harlan County, Kearney County, Smith County, or Phillips County, stop in to Ingram Feed & Seed today.